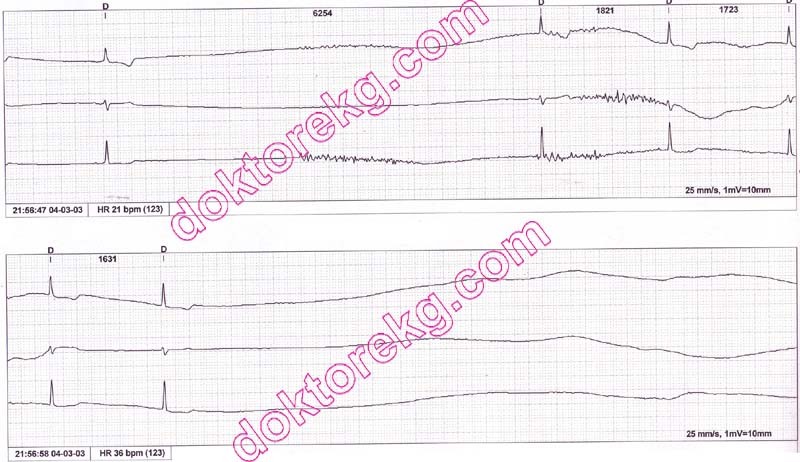 Asystole is the absence of cardiac electrical activity. showed asystole lasting approximately 1 minute and 30 seconds. Dr. Peter Kukla has donated the above Holter tracing to our website. 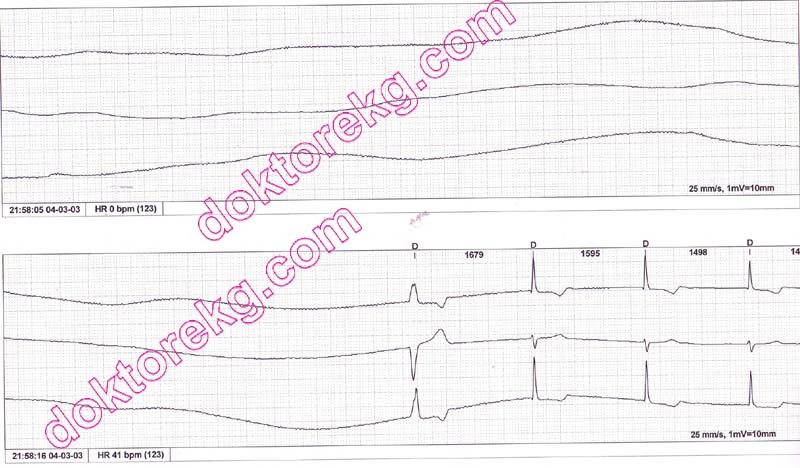 ECG 1b. Holter tracing shows beginning of the asystole. her "attacks of epilepsy " vanished (! ).